The director of the National Security Agency warned that the hacking could have the ability within the next year or two to bring about a limited power outage in the US through a cyber attack. CED Solutions provides security training and certification courses to protect networks including Windows 7, Windows 2008 R2 Server, Security+, CASP, CISSP, Ethical Hacking, Computer Forensics, Security Analyst, CCNA Security, CCNP Security, FIREWALL, ASA VPN, and more. Gen. Keith Alexander, the agency’s director, provided his assessment in meetings at the White House and in other private sessions, according to people familiar with the gatherings. 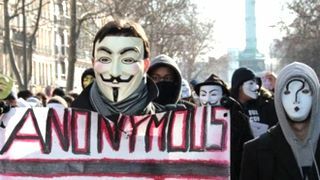 While he has not publicly expressed his concerns about the potential for Anonymous to disrupt power supplies, he has warned publicly about an emerging ability by cyber attackers to disable or even damage computer networks. Alexander’s warning signals a growing federal concern over the capabilities of Anonymous, a loose affiliation of so-called hacktivist computer programmers who have launched a raft of high-profile cyber assaults against US government and corporate targets. So far, the attacks have primarily served to embarrass companies and organizations, and differ on the extent of the threat posed by Anonymous.